Mary Koval always seems to amaze us with her gorgeous fabric collections. 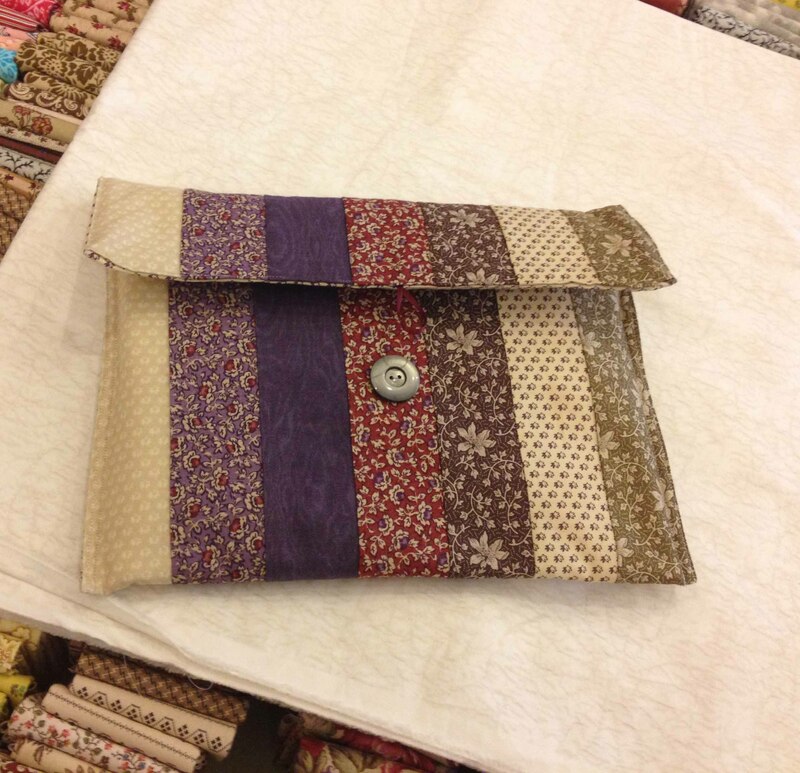 Her latest creation is Rebecca, a beautiful collection based on fabrics from England that were made in the mid 1800’s. The main floral print was inspired by a piece of cotton chintz fabric from 1870. The dainty floral patterns in the Rebecca collection give off a whimsical feeling of romance and beauty. 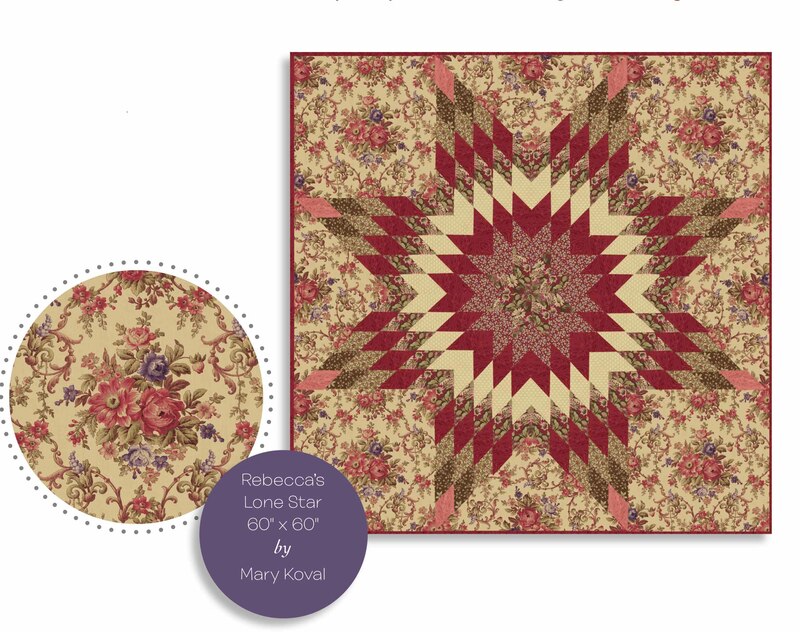 Rebecca is perfect for all home décor projects. Rebecca is in stores now so be sure to get in touch with your favorite local quilt shop. enter in a chance to win a Fat Quarter bundle of Rebecca. 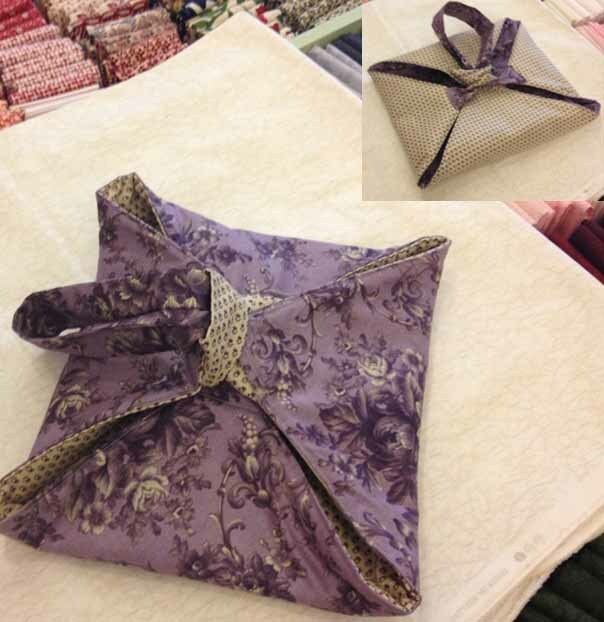 comment below on our blog telling us what you would make with the Rebecca fabric collection. disqualified. Check our Facebook page on Monday, January 21th to see if you are the winner. 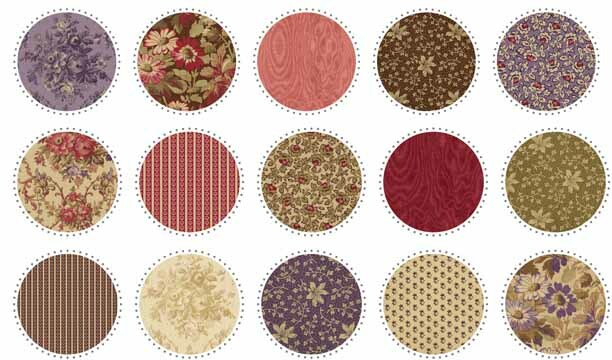 and the Rebecca collection go to http://www.windhamfabrics.com/. The Rebecca fabric line is beautiful! I think they would be lovely in an Ohio Star wall hanging or quilt. Love the fabrics – flowers are my favorite theme and I would love to make a table topper or small quilt with these fabrics. 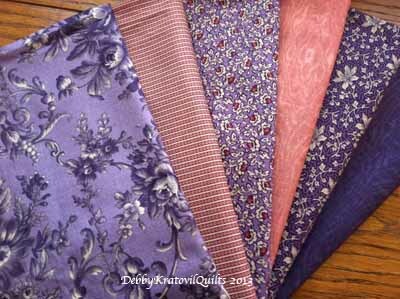 I love this new fabric line–my favorite colors, and I love the prints! There are so many possibilities, but I have really been into table runners lately, and think this would be beautiful. I might try an exploding pineapple pattern with this fabric. Thanks for the chance to win! I would make a quilt in memory of my daughter who passed away. She would have loved this collection. Thanks for a great giveaway. This looks like a great start for a quilt for my daughter! Love the colors. Thank you! Would probably do a table runner or a couple of bags. Thanks for the chance. I’d make a window valence for my bathroom – it would go perfectly! I need a new lap quilt and these are perfect! Those colors are just beautiful and they all blend so wonderfully together. I would make a cheery throw for the spring. I would make pillows for the large Hearth infront of the fireplace. Not real puffy ones, just something padded a bit for when people sit there during get togethers. Beautiful fabrics. I have an appliqué booklet with many scenes of a mother going about her day. Her clothing reminds one of the the 1800’s, so this fabric line seems a great match. What a lovely line of fabric I think it would make a great bag. I think this fabric would make a wonderfully cozy lap quilt to cheer up these wintry days. Just lovely!!! I’m looking to made a backpack for use this summer. This lovely fabric would be pretty. This fabric would be beautiful in a star quilt. Mary Koval always designs the most beautiful fabrics. Oh, these fabrics are beautiful! I think a lap quilt would be perfect for those cozy nights by the fire. Thanks for the opportunity to win! If I were fortunate enough to win, I would love to make a lap quilt for my step-father for his 83rd birthday. These fabrics would work great in their living room. Thank you for a chance at this giveaway. These fabrics are beautiful. I would try to make the Lone Star or a table runner. I need an iPad cover and these fabrics would look lovely in it. Love those purples. I’d make a lap quilt for my daughter. she’s living in Germany and isn’t used to all the cold weather they are getting. and her favorite color is purple. I think I’d make a table piece for my round kitchen table with the fat quarters. The glass is cold and boring and this would certainly liven up the space. Thank you. I love the whole set. It’s beautiful. 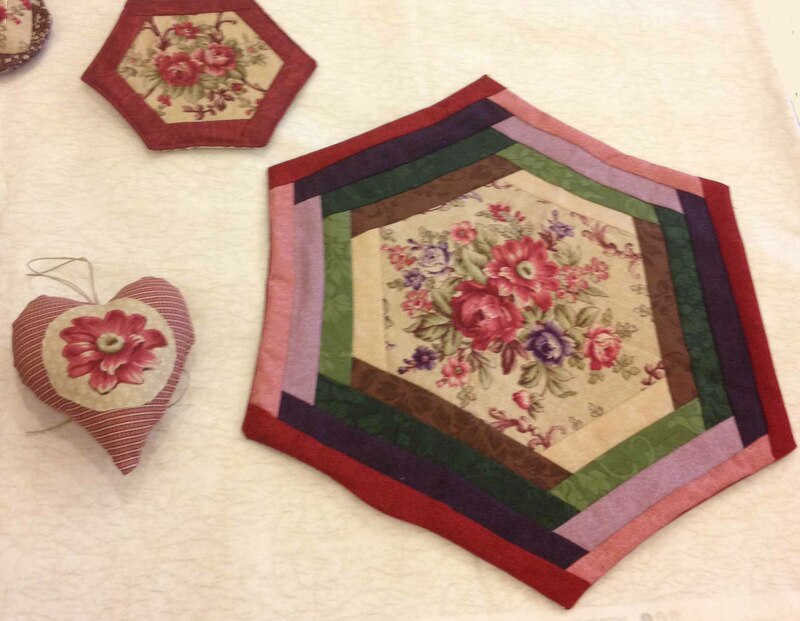 I would make a hexigon table runner that I saw on Debby Kratovil Quilts blog. They are just beautiful. Thanks. I would like to make a super cute ruffled apron. Oh my, this is absolutely gorgeous fabric! I am planning to redo my bedroom in these shades of purples and greens, so I think perhaps a bed runner or pillow shams would be great. This fabric is perfect for the ideas I have for my bedroom. I love the colors! Thank you! Beautiful fabrics! I would make a quilt out of them! I love this made up in the lone star pattern. I would make things to go with that quilt, such as pillows and a dresser runner. Beautiful collection. The fabric is beautiful! I would make a cozy lap quilt with it. I am thinking that I would make a valance to hide the tops of my bedroom shades – the purples would go so lovely in the room. I`d make a lap quilt to my sister in law.Thanks for the chance!! I think I would like to make the handbag! Love the stripes in it. What gorgeous fabrics! I’d love to make a runner! Hi! I would make myself a lap quilt. I have to have surgery in a few months and it would give me comfort! Thanks for the wonderful fabric designed and the great giveaway! I would do a watercolour quilt. I came here from Debby Kratovil’s blog. The name of this collection reminds me of a book by Daphne Du Maurier which was published before WWII. But the style of the fabrics remind me more of those from the Civil War. I think that I would use the fabrics to make a lap size throw with some of the blocks from Debby’s Block-a-Day calendar. This fabric is GORGEOUS! I think it would make an absolutey drling quilt for a future baby grandaughter! I love making small doll-sized quilts, and these prints will be perfect for that! Congratulations to Deborah from Pink Scissors Design….You are the winner of the Rebecca Fat Quarter Bundle. I love this fabric and Lone Star design. If I wanted to expand the size to Queen size, any recommendations as to how to do that? A couple of borders ? Or just add on more Garden Floral?